WhiteGrey Melbourne's latest campaign, Unmissable, raises awareness during National Missing Persons Week by re-imagining the modern-day milk carton. WhiteGrey Mellbourne has collaborated with Melbourne cafes to continue its missing persons advocacy campaign, Unmissable, and raise awareness for Missing Person Advocacy Network (MPAN) and National Missing Persons Week. 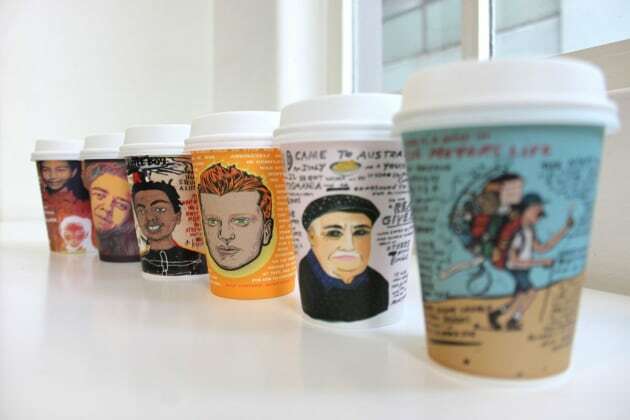 The campaign has designed a series of biodegradable takeaway coffee cups to be distributed throughout Melbourne cafes featuring portraits of six missing Australians and their stories. “A collaboration between families, artists and writers, each heartfelt portrait goes way beyond the vital statistics to create a picture of the person behind them,” says WhiteGrey associate creative director Sally Richmond. Twenty top cafes in Melbourne have adopted the takeaway cups this week to create awareness of the 38,000 Australians that go missing each year. “The Unmissable campaign replaces stark, grainy missing persons photos with human reflections and stories,” says MPAN CEO Loren O’Keeffe. WhiteGrey, which has earned a Cannes Lion for its work on the Unmissable campaign, has in the past used graffiti portraiture and Facebook's facial recognition software to continue the search for missing Australians. Unmissable's artistic take on the traditional milk carton is the campaign's latest strategy in raising awareness of missing persons. In addition to the cafe exposure, the campaign has been pushed across TV, The Age, Broadsheet and social platforms.